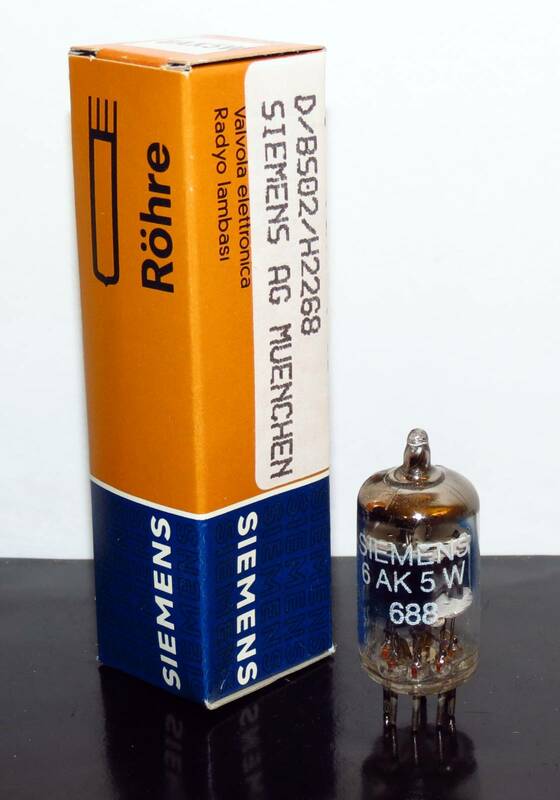 This entry was posted in Vacuum Tubes and tagged 6AK5/EF95, Siemens by tubemaze. Bookmark the permalink. This tube is crazy! Super transparent and very dynamic – with a very modern sound. Listing to instrumental pieces, this tube brings out every vibration of a guitar. Bass is super tight and structured. This is my tube to go if I’m listening to anything outside of vocal jazz, which requires something warmer (which this tube is not). This tube also has plate structure of the famous Mullard M8100 tube – with ginormous hole in two sides of the plate – hard to see since it’s covered by blue electron reflecting material inside the tube. HIGHLY RECOMMENDED.